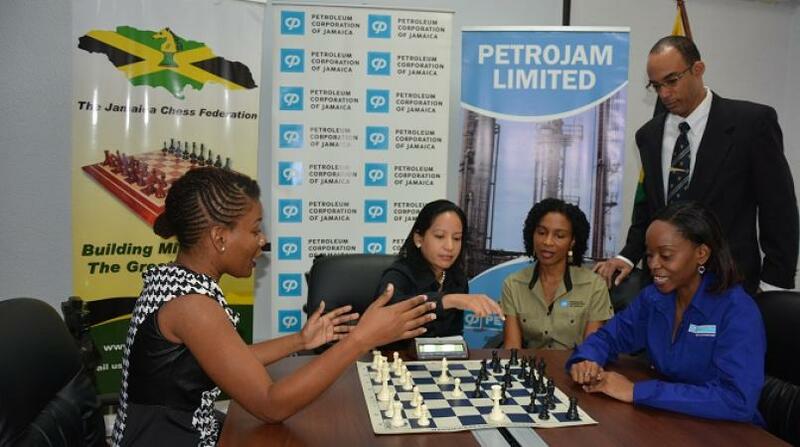 Jamaica Chess Foundation photo of female student participants of the championships. 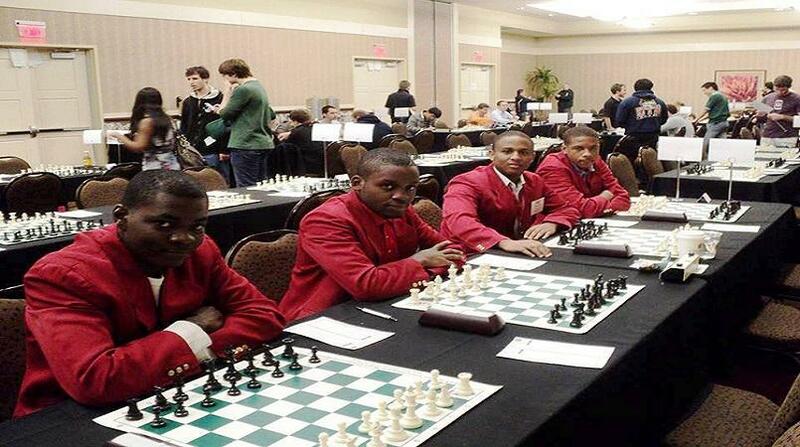 First-time entrants St Jago High took control of the PCJ Group/Dr. 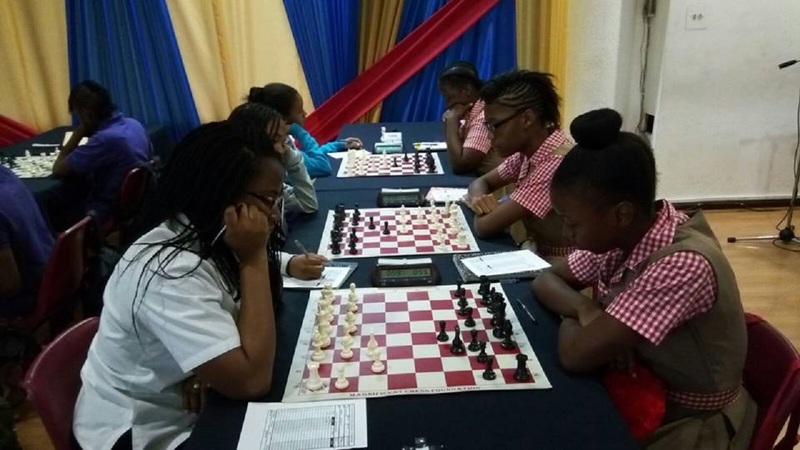 Hope Anderson National Schoolgirls Chess Championships when they defeated defending champions Campion College in round 3 of the competition at the PCJ Auditorium in New Kingston earlier this week. Campion College, the top seed and two-time defending champions, got off to a positive start with wins over Dunoon Technical and Charlemont High in the first two rounds and St Jago also had a good showing in the first two rounds with wins over Green Island A and Immaculate respectively, which set up an exciting top of the table clash in Round 3. The third round saw Campion getting off to an excellent start, following St Jago’s Jeshana Vincent’s loss to Campion’s Raehanna Brown. Vincent’s teammates WCM Clarke and Johmoi Blake later struck back with wins against Campion’s Sheanel Gardner and Aulanni Kidd respectively, to secure the match 2-1. This left St. Jago atop the standings on 6 match points going into the final day. The teams are closely followed by Wolmer’s Girls on 5 match points and Immaculate Conception High, Campion College, Green Island A and B on 4 match points each. Other teams in the championship include Charlemont High and Excelsior High School along with newcomers Mount Alvernia High, Dunoon Park Technical High and Waterford High School. Play will resume on Tuesday February 27, at the PCJ Auditorium, when St. Jago will take on Wolmer’s Girls in the top of the table clash. Other key match-ups include Green Island High A against Campion College and Green Island High B versus Immaculate Conception High School. The tournament was renamed last year in honour of Dr. Hope Anderson who passed away in 2016. Dr. Anderson was Jamaica’s first national woman’s champion and subsequently won the title 7 times in total. 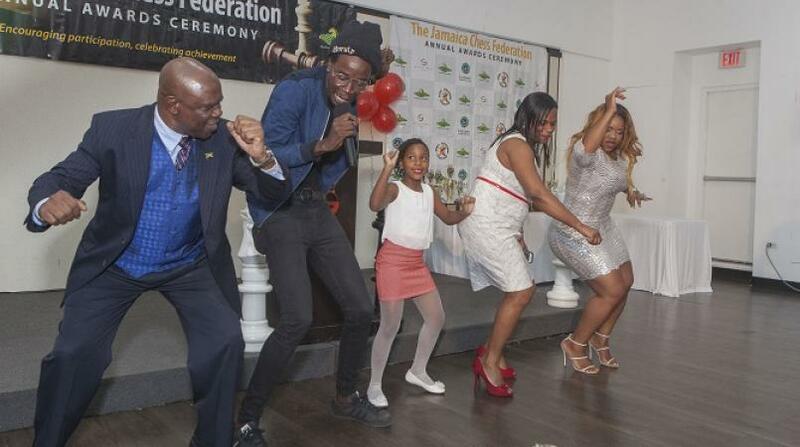 She was also a member of Jamaica’s Women’s Chess Olympiad Team to Dubai (1986), Thessaloniki (1988) and Novi Sad (1990). She served as regional secretary of the Caribbean College of Family Physicians and was an associate lecturer in the Department of Community Health and Psychiatry at the University of West Indies, Mona. The Championship is being sponsored by the Petroleum Corporation of Jamaica Group of Companies, including its subsidiaries Wigton Windfarm Limited and Jamaica Aircraft Refuelling Services Limited.